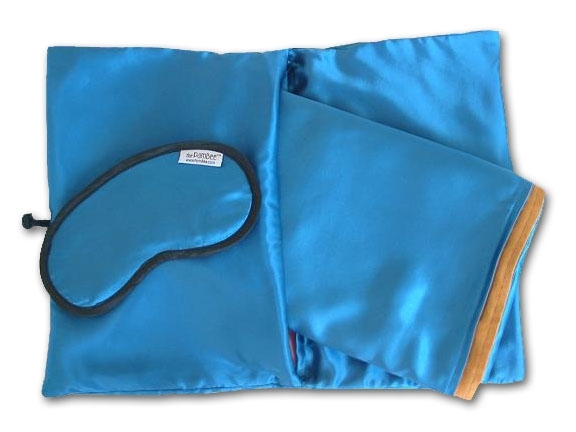 ...and 3) a matching eye mask with adjustable straps to get that perfect fit. ...and it all folds compact (about the size of a laptop) that can fit easily in a carry-on, tote, or computer bag...and it's machine washable, too! 10. 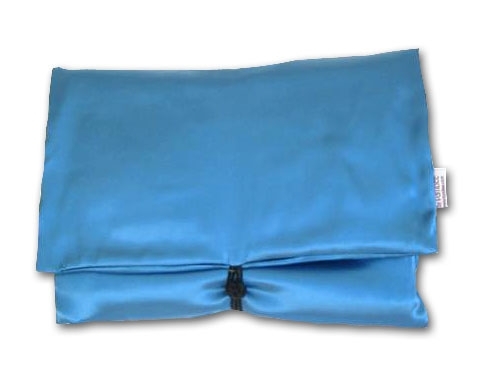 A zippered pouch inside the carrying case can store your iPod, glasses, and headphones during your flight. 9. You can inflate the pillow to your desired contour and firmness, unlike those thin pillows on the planes (if you can find one). 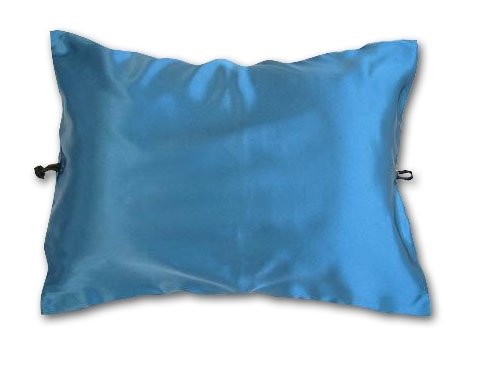 If you like airline pillows but want to "protect" yourself from the previous passenger who used it, the PamBee pillowcase is designed to fit airline pillows perfectly. 8. Why shell out good money for flimsy blankets and pillows the airlines sell when a PamBee will last much longer and you'll never get tired of using it? 7. The blanket is longer than standard airline blankets so you can keep your feet and/or ankles warm. 6. 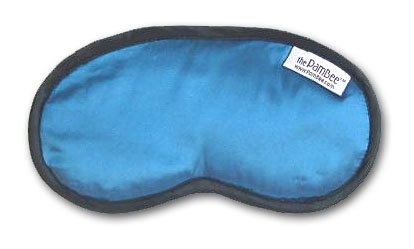 The matching eyemask is thick enough to shut out all the light so you can get a deeper sleep. 5. 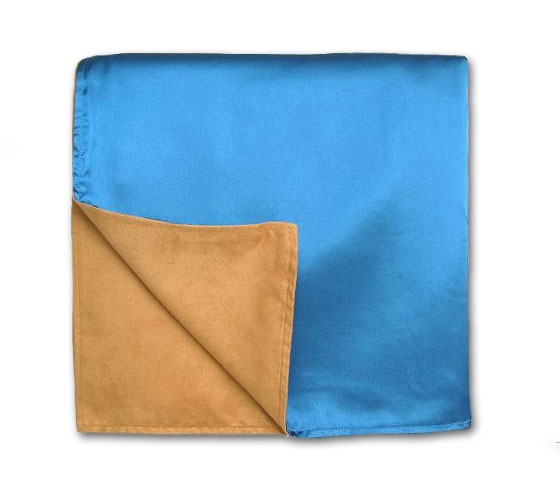 It's soft and luxurious enough to feel like silk on the outside and suede on the inside, but is also machine-washable....a great accomplishment when it comes to luxury fabrics. 4. It makes for a unique gift for that person who seems to have everything. 3. It's compact enough (about the size of a laptop computer) to fit in any carry-on bag so that the TSA can't count it as your one allowed "personal item." 2. By controlling how clean you want to keep the blanket and pillowcase, you can feel safe you're not being exposed to someone else's germs. 1. The PamBee comes in 5 beautiful designs -- far beyond the standard blue fleece the airlines sometimes provide -- to suit the preference of any stylish traveler. Get that First Class feeling...in coach!